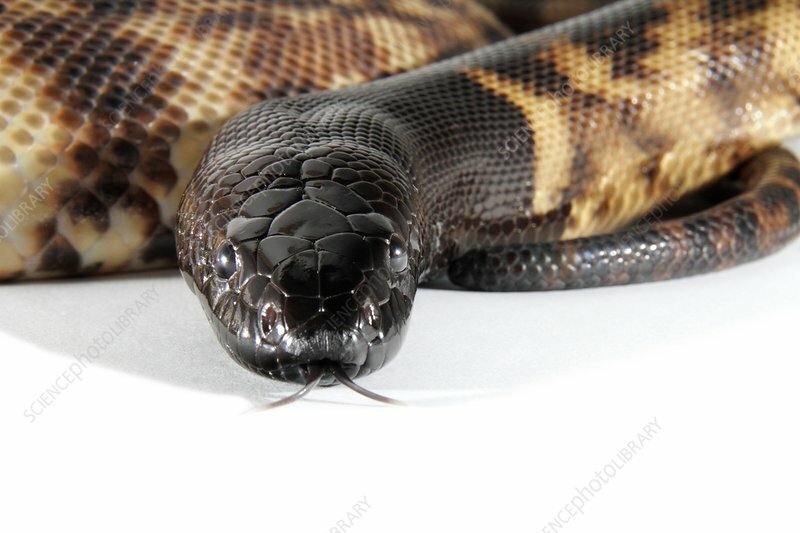 Black headed python (Aspidites melanocephalus). This nocturnal species of python is typically found in the northern third of Australia. It may hiss if threatened but rarely bites. Instead, it will strike with its mouth closed. Its diet consists mostly of other reptiles such as skinks, geckos or bearded dragons. It lacks venom but kills its prey by constriction.